Amore Bakery is a family run business owned by Paulo and Carmelina Benfeito, and they have been producing corporate cupcakes for over 10 years. Paulo and his amazing team create all their branded cupcakes, personalised doughnuts and other baked goods locally in London. 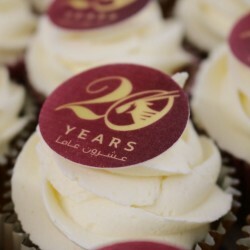 They pride themselves on their dedication and flexibility; no matter how large or complex the order they are passionate about ensuring you get the best branded cupcakes. 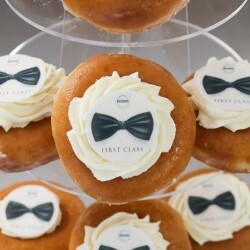 Their unique printed cupcakes are decorated with your brand logo or company message, and are perfect for events from product launches to business promotions. Cupcakes are baked fresh the day before the delivery, then hand delivered anywhere in the country to ensure that they arrive on time in perfect condition.